CJ Pearson scores on a nice boar hog! He won't post it here but it should be so I'll just do it...CJ moved from Colorado to Atlanta and did his first spot and stalk hog hunt over in South Carolina..he got a nice one. 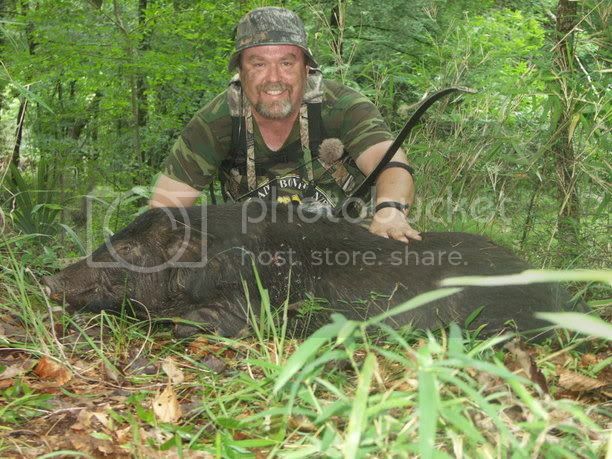 Made a great shot...hog only ran 40 or so yards, DRT. Re: CJ Pearson scores on a nice boar hog! Congrats on a nice hog CJ!